Evan Foster advises clients on legal issues involving technology, data privacy and cybersecurity. Customers and vendors in the health care, life sciences, financial and manufacturing industries, among others, seek his advice on technology transactions and systems acquisition including matters involving Internet and e-commerce. His experience includes drafting and negotiating cloud computing and software-as-a-service agreements. Coordination of data breach responses, including those involving protected health information subject to the Health Insurance Portability and Accountability Act of 1996 (HIPAA) and personally identifiable information subject to state breach law. Guiding forensic investigation of security incidents. Preparation of notifications to regulators and affected individuals post-breach. Drafting of incident response plans as well as policies and procedures relating to cybersecurity and data privacy. Counseling, particularly for the financial services and insurance industries, on New York Department of Financial Services Regulation 500. Evan provides practical legal advice that takes into account real-world implementation of the challenges involved in the use of technology and its application to data privacy and cybersecurity by businesses of all types. His understanding of these issues is enhanced by his past experience as the founder of Foster Consulting Group, an IT consulting firm for small companies and as a business intelligence analyst. Evan also handles general corporate and commercial matters and commercial contracts, as well as general intellectual property matters. A major university and affiliated health system in a variety of health care information technology agreements valued at six or seven figures. This representation is ongoing. Evan also represented this client in the renegotiation of a multi-facility contract for outsourced environmental services valued in excess of $100 million. A global pharmaceutical company in multiple negotiations for advertising, public relations, digital media and medical communications services, each valued in excess of $10 million. A different global pharmaceutical company in a variety of information technology licensing and acquisition agreements, including regulated systems involved in the manufacturing and compliance functions. This representation is ongoing. A prominent state university in numerous technology acquisition, licensing and general procurement matters, including negotiations for its primary offsite data center, licensing of admissions software delivered as software-as-a-service (SaaS), and licensing of electronic medical record software for its physical therapy clinic. This representation is ongoing. A non-profit health network in the formation, structuring and implementation of a community-wide, hybrid health information exchange, including providing counsel on compliance with federal and state anti-kickback and physician self-referral statutes, privacy and security laws, including HIPAA, HITECH and protection of certain sensitive categories of information, and drafting required agreements and policies. A prominent vendor in the field of health information technology and health information exchange in need of outside counsel. 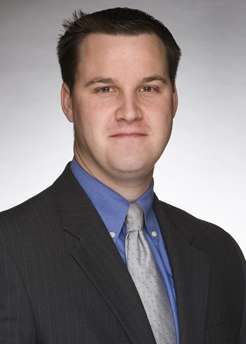 Saul Ewing Partner Evan Foster Named a "Client Service All-Star"
Chairman, Board of Directors, Spirit of Gheel, Inc.